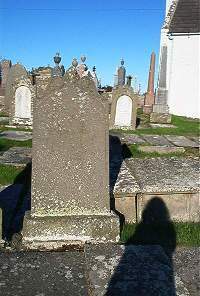 George Dunbar died 29th June 1871 aged 28 eldest son of John Dunbar of Forse. Brother Robert Dunbar died 24th January 1873 aged 28. The spirits fled lifes latest sand is run Father of mercies let thy will be done Not ours but thine this fair this beautious day Thine to give and thine to take away.